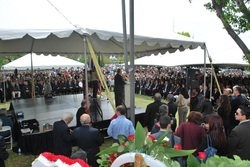 The 97th annual Armenian Genocide Commemoration event at the Armenian Genocide Martyrs’ Monument at Bicknell Park in Montebello CA. 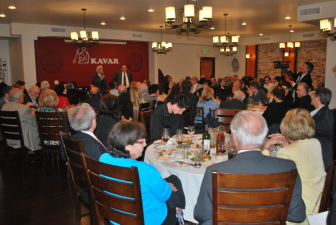 The 97th annual Armenian Genocide commemoration, the communitywide event, is organized by the United Armenian Council of Los Angeles. 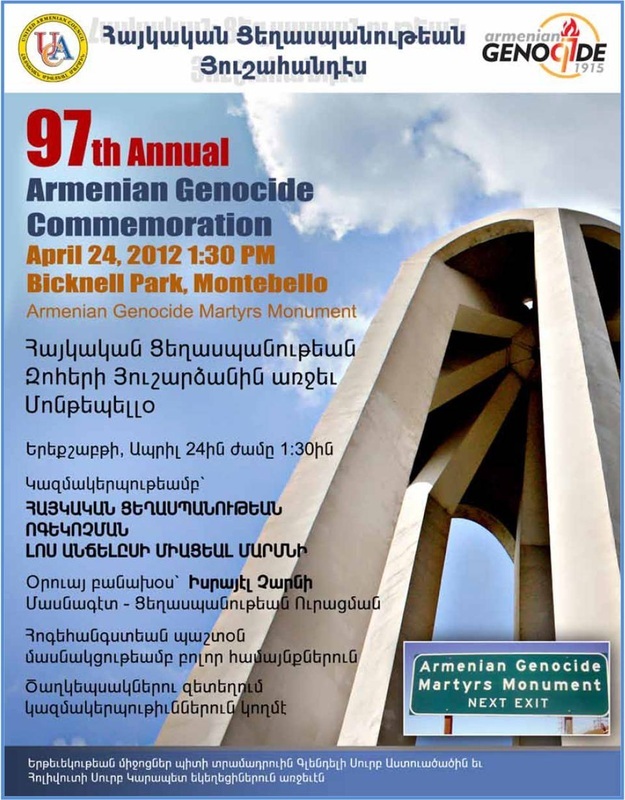 The commemorative event will take place on Tuesday, April 24, 2012, at 1:30 p.m. at the Armenian Genocide Martyrs’ Monument at Bicknell Park in Montebello. Dr. Israel Charny, the Executive Director of the Institute on the Holocaust and Genocide will be the keynote speaker at this event. He is a psychologist, historian, and a world renowned genocide expert. He is editor-in-chief of the recently published Encyclopedia of Genocide, a two-volume reference work that focuses on the Holocaust and the Armenian Genocide. Dr. Charny is widely respected and credited for his leadership role and seminal contribution to the field of Genocide Studies. 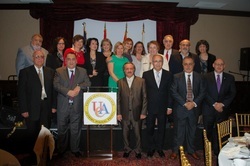 A number of distinguished individuals from the Armenian, as well as non-Armenian communities will participate in the program. The religious service will be led by all denominations of the Armenian community. The flag ceremony will be performed by the Homenetmen and the Armenian General Benevolent Union (AGBU) scouts. Musical renditions will be provided by the Armenian Youth Association of California Choral Group directed by Maestro Michael Avetissyan. Placement of wreaths, as a token of reverence, will be done by various organizations. 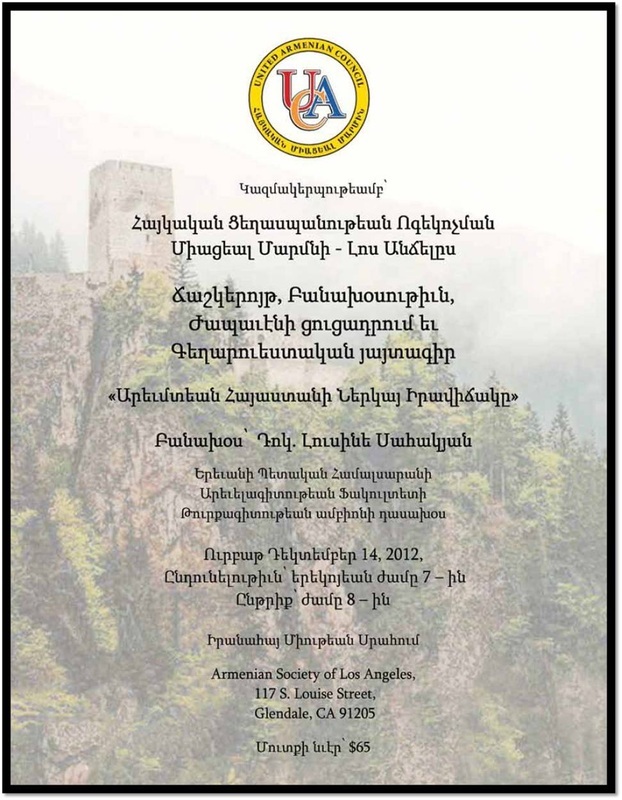 The United Armenian Council calls upon all Armenians to be present at this very important commemorative event. Your presence will be a manifestation of your tribute to the memory of all the victims of the genocide. It will make you proud of your collective identity and will give you the fortitude to continue our “quest for justice”. Dinner with Dr. Israel Charny who is with the Editor in Chief of GPN Genocide Prevention Now. Since 1979, ISRAEL W. CHARNY is the Executive Director of the Institute on the Holocaust & Genocide in Jerusalem which he founded with Elie Wiesel and the late Shamai Davidson, M.D. He is currently also Editor-in-Chief of GPN GENOCIDE PREVENTION NOW www.genocidepreventionnow.org, a worldwide Web Magazine since 2010 with major support from the Carnegie Corporation of New York. He is a co-founder of the International Association of Genocide Scholars (IAGS), which he served as Vice-President under President Robert Melson 2003-2005, and as President 2005-2007. Beginning as vice-president he led the creation of a new journal, Genocide Study and Prevention, jointly sponsored by IAGS and the Zoryan Institute. During his presidency membership in IAGS rose significantly by several hundred people, a Membership Directory and a quarterly Newsletter were published, and IAGS sponsored a 3-day international seminar at Auschwitz preceding the very well-attended IAGS International Conference in Sarajevo, Bosnia where IAGS members also voyaged to the burial grounds of the Bosnians massacred in Srebrenica.